I admit it. I'm a thrift store addict. If I have a few minutes, and I'm near either an antique or thrift store, I have to pop in. Of course, I also have whole days that I'll devote to almost entirely to thrifting. While those days don't happen often, I did get the opportunity to have one of those recently. And, because I also adore getting to see what other people discover at thrift stores, I thought it only fair that I share with y'all the treasures I brought home. My first stop, as is my usual, was Goodwill. There, I found a nice wooden basket with jute rope handles. One of the slats on the bottom is cracked, but I hope to fix it with wood glue and then paint the whole thing (except the handles of course). As well, the revolving earring display caught my eye. I want to work it into my display at Southern Antiques and Accents, but am first trying to decide whether or not to paint it. 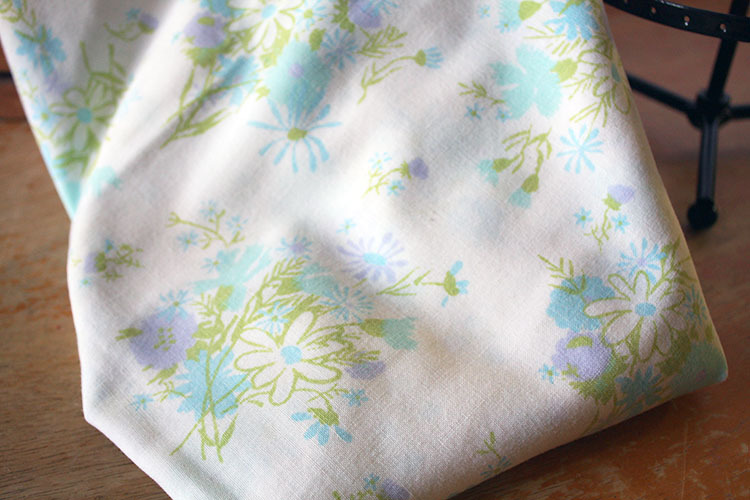 Lastly, there was a lovely vintage pillowcase. I've been collecting vintage linens for years now with the hope of someday piecing them together into a quilt. This one incorporates all my favorite colors. It gives me the warm fuzzies! After Goodwill, I headed to a local charity thrift shop. Their craft bins and prices never disappoint. The linen tablecloth will be used for art rags (don't judge). Then, there's the embroidery hoop, roll of leather, and letter stamps that are obvious craft supplies/tools. The wood candlestick was only a dollar and can easily be painted and worked into my home decor. The little patch thing on the far right - I actually have NO IDEA what it is or how it would be used. It does, however, have a few neat elements on it that I plan to remove for crafty reuse. I don't always have the best of luck at the Waterfront Rescue Mission's thrift store, but it's always so easy to just pop in there when I'm near it. 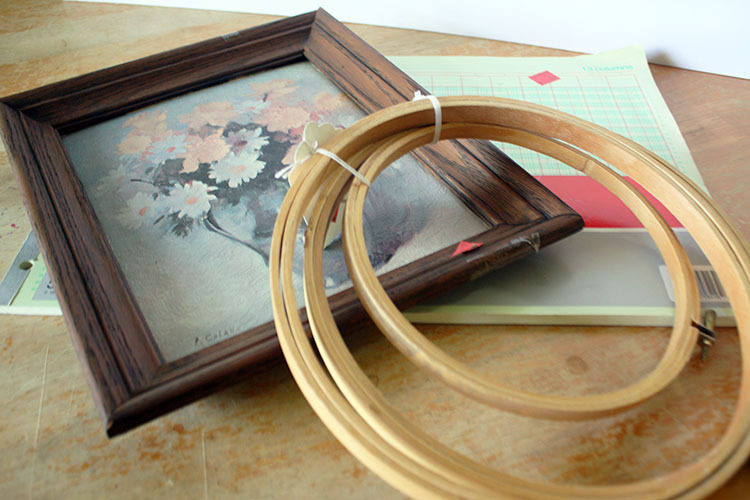 I scored this time around with a set of three embroidery hoops, a framed picture (for 99 cents), and a blank ledger. From there, I popped over to one of my favorite antique malls. I scored big time, especially in one particular booth that was selling loads of arts and craft supplies. 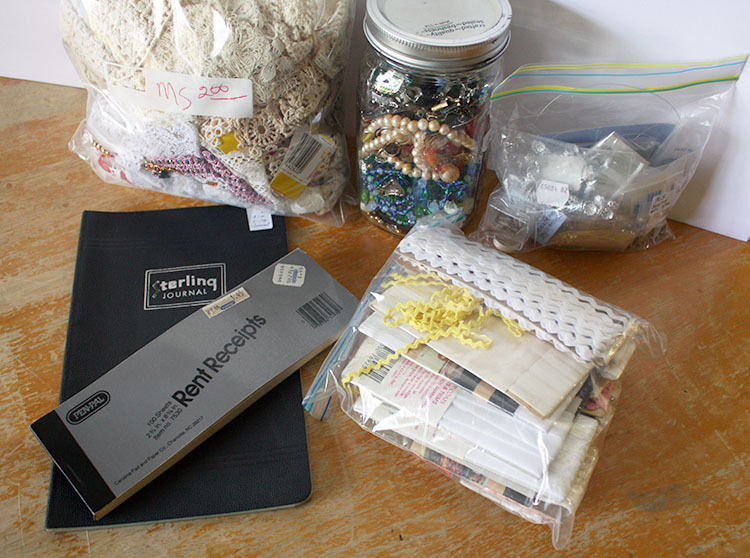 There was the bag of lace, the jar of broken jewelry, some beading supplies, and a baggie of ric-rack. 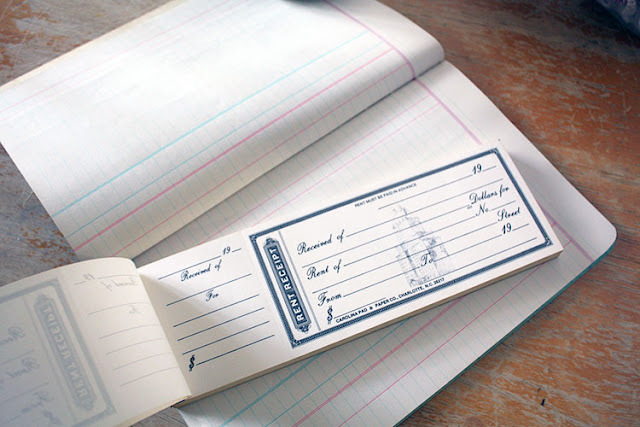 In addition, one booth had a small selection of old blank journals and receipt books. I couldn't resist those lovely, old pages. 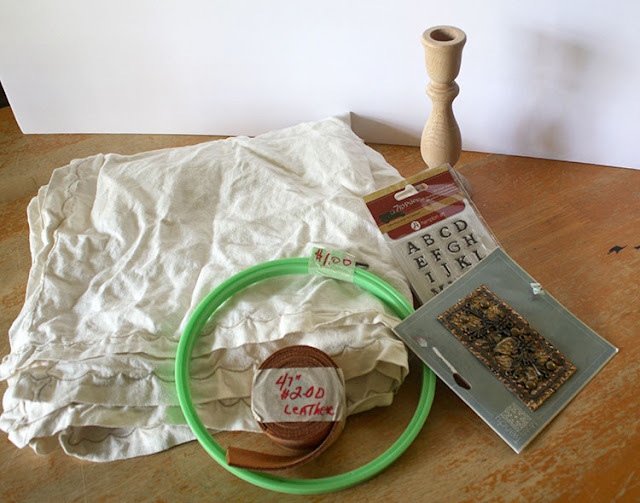 Now for another admittance - I've made myself refrain from through all those baggies and jars until I got this post up. It's going to be my reward for actually blogging. Ha! If I find anything spectacular or even remotely cool in them, I'll make sure to share it with you! So, what have you discovered in your local thrift stores lately? Nice haul. I collect vintage linens also. Thank you! Do you really collect them too? I'm completely drawn to the florals on white backgrounds. Like I said, one day I plan to make a block quilt. For now, they're stashed. So you have plans for yours or do you use them as intended? Always a pleasure to look at your thrifty finds :) The earring display looks like a great find and you can put it into use immediately! I'm the same as you - I'll pop in a thrift store if I have a spare hour or 2. You never know what you'll find! I look forward to seeing what you'll do with everything. Hopefully there's something good in the old jewelry jar and bag! 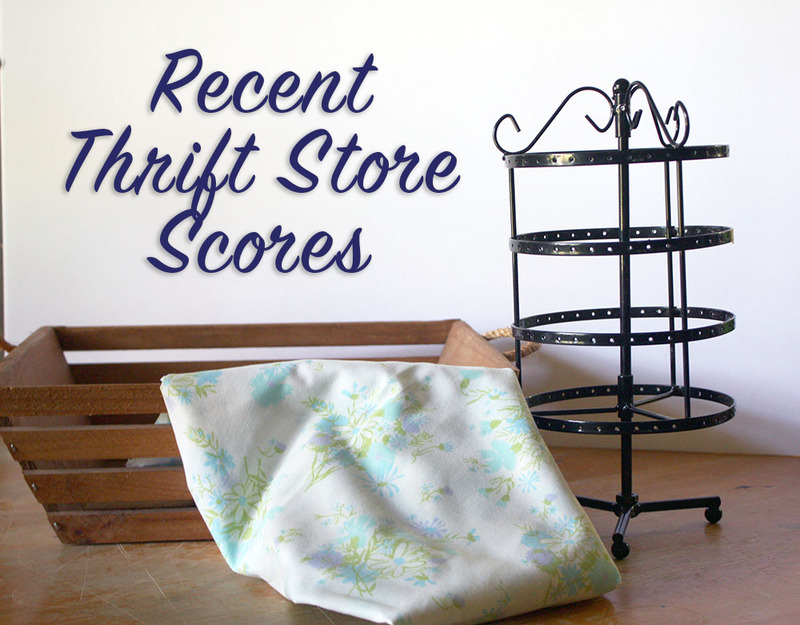 I'll try to remember to snap photos of my next thrift finds, to share on my blog!